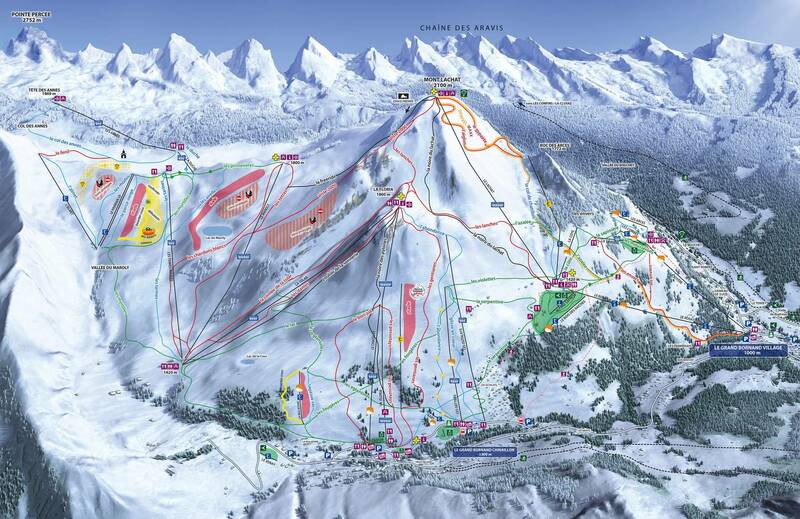 Built in 2009 by local artisans, Chalet Aigle was spec’d to the highest quality in what is conceivably the best location in Samoens. The plot of land, on which this substantial chalet is majestically poised, is a rarity in its own right. South facing, basked in all day sunshine, it commands delectable elevated views across the valley in a tranquil setting and is a mere 12 minute walk into the village. The ski bus is 300m away. Originally built as a luxury catered ski chalet, comfort and space are at the forefront of this creation fused by an environmentally considerate approach such as the geothermic under floor heating system, emphasis on insulation and substantial rainwater recuperation system to service toilets and the garden. 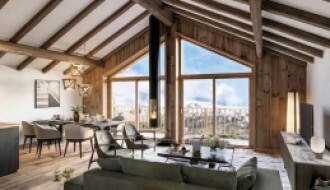 Set over four levels, this chalet encapsulates the winter and summer seasons beautifully. Comfortably entertaining 14-16 guests, there’s 5 ensuite bedrooms over the two uppers floors that include two family suites (totaling to 7 units). A self-contained apartment on the lower ground floor offers valuable flexibility; whether for live in staff, a bolt hole for private use during rental periods or simply as independent guest quarters. 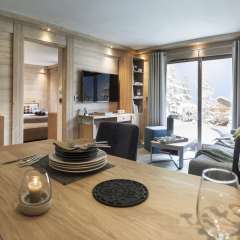 Entering the chalet via a remote controlled double garage, the lower floor contains a large dedicated kit room equipped with ski boot dryers, laundry facilities and a guest WC. On this same level, is the aforementioned apartment composed of an entrance cloakroom, an open plan living room with south facing views and a newly fitted kitchen, a shower room, an ensuite double bedroom with dual aspects (east and south) a large utility room housing a home gym. 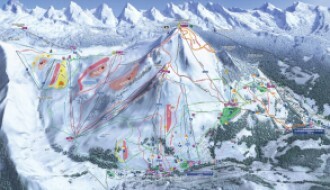 The main entrance is located to the west of the chalet on the first floor. You are welcomed into a generous open plan space dominated by wonderful south facing and easterly views. A polished granite topped kitchen with island, flows onto a sociable dining and cosy living area with wood burner and direct access onto a covered east facing terrace with hot tub and seating. A second living room, situated off the main living area, is set up with a home entertainment system. Also on this same level, is a secondary back kitchen closed off from the main living area. On the second floor is an impressive ensuite master bedroom with a private south facing balcony to soak up the incredible views over the Samoens valley down to Sixt Fer à Cheval. There’s a family suite composed of a double bedroom and an adult sized bunk room with a shared bathroom. In addition, there are two further ensuite bedrooms one of which has its own private balcony. The top floor is dedicated to a family suite composed of a double bedroom and a twin room in two separate zones with delightful views and a shared private bathroom. Full planning permission has been successfully obtained to build two further garages and an outdoor swimming pool extended over the large south facing terrace to capitalize on the wonderful views. 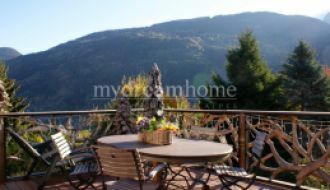 The chalet is surrounded by 1000m2 of private gardens including flat lawned areas and external parking for up to 4-5 cars.